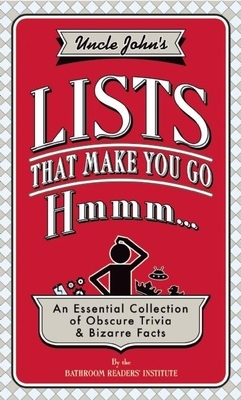 A list of five words to describe Uncle John's Lists That Make You Go Hmmm...: 1. Funny; 2. Fact-filled; 3. Surprising; 4. Unique; 5. Essential.